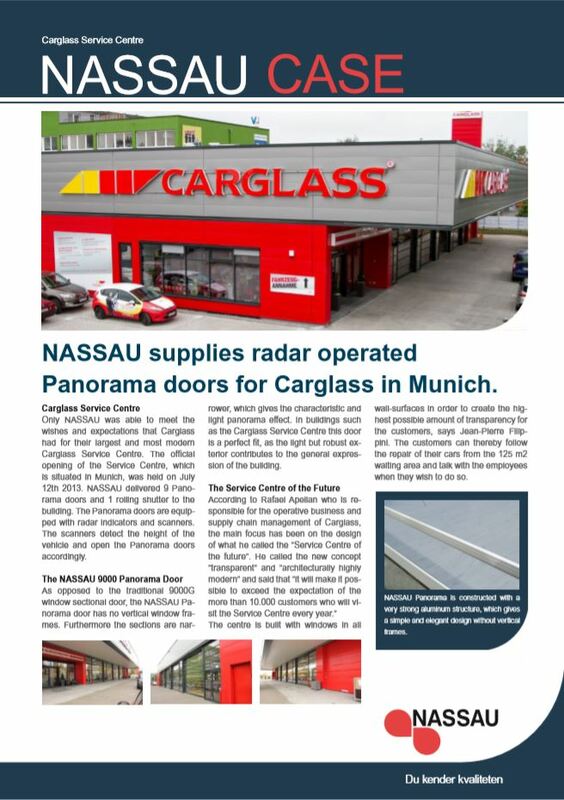 NASSAU supplies 9 Panorama doors with radar indicators to Carglass Service Center in Munich. vehicle and open the Panorama doors accordingly. contributes to the general expression of the building. According to Rafael Apelian who is responsible for the operative business and supply chain management of Carglass, the main focus has been on the design of what he called the ”Service Centre of the future”. 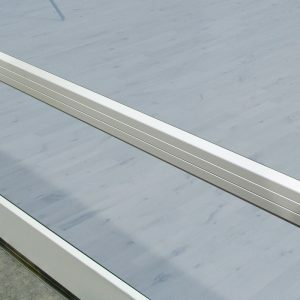 He called the new concept “transparent” and ”architecturally highly modern” and said that “it will make it possible to exceed the expectation of the more than 10.000 customers who will visit the Service Centre every year.” The centre is built with windows in all wall-surfaces in order to create the highest possible amount of transparency for the customers, says Jean-Pierre Filippini. The customers can thereby follow the repair of their cars from the 125 m2 waiting area and talk with the employees when they wish to do so. NASSAU Panorama is constructed with a very strong aluminum structure, which gives a simple and elegant design without vertical frames.